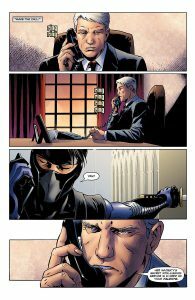 Are you ready for Ninjak?! He’s coming, and it’s gearing up to be an awesome issue! Take a look after the jump! 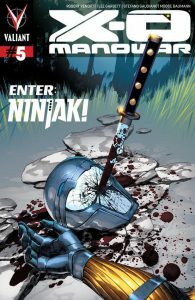 Valiant is proud to present an advance preview of X-O Manowar #5 – the FIRST ISSUE of an all-new arc pitting X-O Manowar against Ninjak and a perfect jumping-on point for new readers! 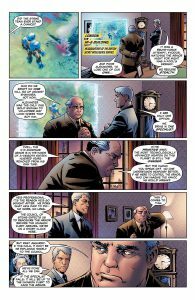 Join New York Times best-selling author Robert Venditti (The Surrogates) and acclaimed artist Lee Garbett (Batman: The Return of Bruce Wayne) as the sudden arrival of the X-O Manowar armor on Earth ignites an extraterrestrial arms race – one that Ninjak will aim to win by any means necessary. 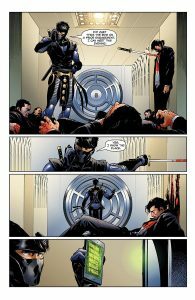 After a failed brute force attempt on the life of Aric of Dacia, Vine agents deep within MI6 have only one option left in their gambit to retrieve the X-O Manowar armor – call in the deadly mercenary known as Ninjak! But what happens when the world’s foremost weapons specialist engages the Earth’s most powerful weapon head on? 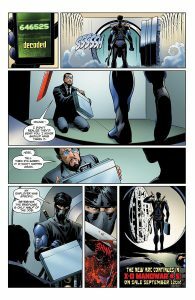 And even if Ninjak can defeat the armor’s defenses, does he stand a chance against the savage warrior that controls it? 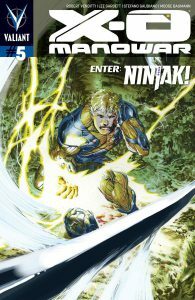 Start reading here as Ninjak makes his shocking first appearance in X-O Manowar #5! 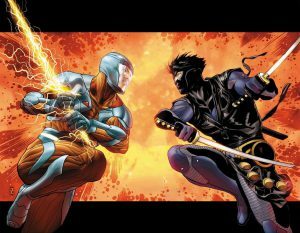 And ask your local retailer today about how to get your hands on the X-O Manowar #5 Pullbox Exclusive Variant by chart-topping artist Philip Tan (Batman & Robin) and the X-O Manowar #5 Interlocking Variants by comics superstar Patrick Zircher (Captain America)! 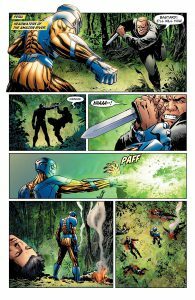 X-O Manowar #5 hit’s shelves in September, but until then, take a look at this awesome preview!